Caldwell-Pope lit up the Summer League just like he did last year, but you could definitely see the growth from last year. He had scoring totals of 26pts and 4rebs, 30pts and 12rebs, 26pts and 7rebs, 26pts and 9rebs, and 12pts and 5rebs. Caldwell-Pope still needs to continue to work on his defense as he was in foul trouble a few times, he needs to be more consistent from the 3-pt line, and continue to work on his passing. He has a knack for scoring, he is an improved rebounder, and he gets to the free throw line and makes his shots; so he should be ready for increased minutes next season. After a decent rookie season, Celts fans and front office wanted to see more out of Olynyk and he delivered this summer. In game 1, Olynyk had 20pts, 4steals, and 8rebs in his best scoring game, in game 2 he had 15pts, 6rebs, 4assists, and 2steals in best overall game, in game 3 he had 16pts, 9rebs, 3assists, and 2 steals, and in game 4 he had 19pts and 6reb, but struggled from the 3-pt line going 2-8. Olynyk showed that his offensive game is still there, but he needs to work on his 3-pt shot if he wants to add that to his game (27.8%). He needs to continue to work on his rebounding and defense, as he is 7ft tall, but did not block a shot. After getting into problems early last season and seeing limited minutes, Muhammad showed his potential this summer as a solid wingman. In game 1, Muhammad had 27pts and 11rebs in his best outing, in game 2 he played limited minutes and put up 4pts and 3rebs, in game 3 he had 10pts and 3rebs while he struggle from the floor and with foul trouble, in game 4 he had 16pts, 2steals, and 9rebs; his shot was off, but he made it to the free throw line often and connected, and in game 5 he had 24pts, 3rebs, and 2steals, while going 9-11 from the FT line and shooting a good percentage on the floor. Muhammad needs to stay out of foul trouble and continue to work on his consistency, but he is finally showing some production. He should be ready to contribute as a scorer in the wing rotation; he seems like a better fit at SF with his skill set. Gobert only saw limited time on the court after a decent summer league showing, this year he showed why he was intriguing prospect and not for just his height. In game 1, Gobert had 11pts, 9rebs, and 2blks, in game 2 he had 13pts, 9rebs, 5blks, and went 6-6 from the floor, in game 3 he had 12pts and 6rebs, and in game 4 he had his best game with 11pts, 15rebs, and 2blks. Gobert struggled with free throws in game 1 going 3-9, but went 6-9 the rest of the way so he could use some improvement there. He also needs to say out of foul trouble and limit his turnovers. However, Gobert appears ready for more minutes and at only 22yrs old he has potential as a two-way player at 7’2. Oladipo had a good 1st year and didn’t need much work in the summer league while playing in only 3 games, but he still put on a show playing next to rookie PG Elfrid Payton as they build chemistry. In game 1, Oladipo had 18pts, 6rebs, and 3 assists while shooting 6-11 from the floor, in game 2 he had 11pts and 7rebs as he struggled from the floor going 4-12, and in game 3 he had his best outing with 22pts, 5rebs, and 4 assists while going 7-10 from the FT line. Oladipo is a good all-around player who should be ready to bud into a star, but he must stay out of foul trouble and continue to grow as a shooter which will help his consistency on offense. The Greek Freak continues to impress as his offensive game grows with an improved shot from all over the court. In game 1, Antetokounmpo had 17pts and 6rebs while shooting well from the field, in game 2 he had 16pts and 6rebs while going 7-8 from the FT line, in game 3 he had 15pts, 4rebs, 3steals, and 5assists in a good overall game, but he struggled from the floor, and in game 4 he had 20pts, 7rebs, and 2blks while shooting well from the floor. However, he needs to stay out of foul trouble and limit his turnovers. Antetokounmpo showed a nice scoring consistency and a good ability to rebound and defend; he should be ready for big minutes next season next to rookie Jabari Parker as a good scoring forward tandem. After playing in limited minutes last season due to injuries, Porter showed everyone what he was capable of in the Summer League. In game 1, Porter came out on fire with 25pts, 7rebs, and 3 assists, in game 2 he had 13pts and 5rebs, in game 3 he had 19pts and 7rebs, in game 4 he had 14pts, 6rebs, and 2 steals, in game 5 he had his best game with 27pts, 5rebs, and 3 assists, and in game 6 he had 16pts and 5rebs, but he struggled from the 3pt line. Porter shot a nice percentage from the floor and proved to be a good rebounder and defender. He needs to continue to work on his FT shooting and his overall consistency, but he seems ready for big minutes to help replace Trevor Ariza. Hardaway Jr. continues to show off his scoring skills which gave him a nice buzz with the fans, after a decent rookie season, during the Summer League. In game 1, Hardaway Jr. had 25pts, 5rebs, and 2assists while struggling from the 3-pt. line, but going 10-12 from the FT line. In game 2, he had 20pts and a block, while in game 3 he had 17pts, 4rebs, 3assists, and 3steals in best overall game, in game 4 he had 25pts and 2rebs on a good scoring night, but he was in foul trouble, and in game 5 he had 27pts and 2rebs while struggling from the 3-pt line. Hardaway Jr. appears ready for more minutes and has the potential to take some of the scoring load off of Carmelo, but he needs to shoot less from deep and stay out of foul trouble. Also, just like many other Knicks he needs to contribute more on the defensive end. Snell showed that he has taken his game to next level dominating in the summer league from all-over the court showing his potential on both ends of the floor. In game 1, Snell had 27pts, 4rebs, and 3assists, in game 2 he had 23pts, 4rebs, and 4assists, in game 3 he had 12pts and 4assists which was his worst game, in game 4 he had 18pts, 7rebs, 3assists, and 3blks in a good overall performance, and in game he had 20pts, 3assists, and 3rebs. Snell has shown a nice ability to score from deep (50%) which will really help complement the Bulls big men and he can knock down his free throws. However, he must limit his fouls and continue to work on his consistency on defense. Canaan paved his way to the NBA after a nice summer league showing last year and this summer he showed good leadership and looked very comfortable exposing young players (see game vs. Cavs). In game 1, Canaan had 18pts and 4 assists while shooting 6-12, in game 2 he had 8pts, 4rebs, and 2 assists, but struggled going 2-11 from the floor. In game 3, he had 13pts, 5assists, and 4 steals, while he struggled to shoot going 2-9, he went 8-9 from the FT line. In game 4, he had 18pts while going 4-12, but 9-9 from the FT line, in game 5 he had his best game with 28pts, 2rebs, and 2 assists while going 10-16 including 4-8 from 3. In game 6, Canaan had 12pts, 5assists, and 3 steals, but struggled to shoot, in game 7 he had 24pts going 8-17 from the floor, and in game 8 he had 15pts, 4rebs, 6 assists, and 4 steals as they came up short against the Kings who advanced to win it all. Canaan needs to work on his consistency and limit his turnovers, but he should be ready for increased minutes as a scoring guard with loss of PG Jeremy Lin. Canaan is a good scoring point guard who has gotten better on the defensive end, but he needs to grow as a passer. Glen Rice Jr. really put on a show on his way to becoming the Summer League MVP while averaging 25pts per game, 7.8rebs, 2.3assists, and 2.5steals over 6 games. In game 1, Rice had 22pts and 4rebs while going 14-16 from the FT line, in game 2 he had 22pts, 6rebs, 3assists, and 3steals, in game 3 he had 24pts, 7rebs, and 4assists, but he struggled with 6 turnovers and he was in foul trouble. In game 4, Rice scored 22pts and had 10rebs, in game 5 he had his best game with 36pts, 11rebs, 3assists, and 4 steals, and in game 6 he had 24pts, 9rebs, 6 steals, and 2 assists. Rice appears ready to make an impact this season if he can keep scoring at this rate and he should see a lot more minutes with the loss of Trevor Ariza. He needs to work on his consistency from the 3-pt line and continue to work on his FTs to be an even better scorer. McCollum has really shown off his skills in the Summer League showing his ability to score, rebound, pass, and even help on the defensive end. In game 1, McCollum had 16 pts and 4steals, but he struggled from the 3-pt line, in game 2, he had 19pts, 5rebs, 3assists and 2steals, but struggled from 3 again, in game 3 he had his best scoring game with 28pts and 3rebs, in game 4 he had 17pts, 5rebs, and 3assists, and in game 5 he had 21pts and 2steals, while struggling from the FT line. McCollum needs to work on his consistency and cut down on his turnovers. He will be an important asset to the Blazers bench production and could also see some starting minutes next to star PG Damian Lillard; they need McCollum to help space the floor. Green was the Nuggets 2nd round draft pick in the 2013 draft, but he spent a year overseas developing his game as a scoring guard and it seems to have paid off this summer. In game 1, Green had 17pts, 6rebs, and 4 assists while going 7-11 from the floor, in game 2 he had 16pts, 2rebs while going 7-14, in game 3 he had 13pts and 3rebs while going 6-13, in game 4 he had 17pts, 3steals, and 3assists, while going 7-16, and in game 5 he had 20pts and 3assists while going 7-14 including 3-5 from the 3-pt line. Green proved that he is a consistent scorer who can rebound for his size and even defend. He needs to continue to work on his 3-pt consistency and continue to get to the FT line. Green has signed a 3yr deal with the Nuggets and will handle 3rd string PG duties. Dieng has really shown his potential this summer posting solid double-doubles and giving solid play on both ends of the court despite being known as strictly a defensive player. In game 1, Dieng had 12pts, 10rebs, 2steals, and 2blks, in game 2 he had 11pts, 8rebs, and 3steals, in game 3 he had his worst game with 6pts, 3rebs, and 2steals, in game 4 he had 13pts, 19rebs, and 2 steals in his best game, in game 5 he had 15pts, 12rebs, 3blks, and 3assists on an off shooting night, and in game 6 he had 12pts, 3blks, and 9rebs. Dieng has been able to get to the line and knock down his free throws and shoot good numbers from the floor when shooting limited shots. 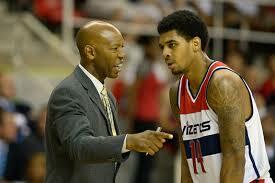 However, he needs to limit his turnovers and stay out of foul trouble. Muscala was drafted by the Hawks last year, but played overseas after they chose not to sign him. However, Muscala played well in the Summer League this year proving that he could play some rotational minutes. In game 1, he had 11pts and 5rebs while struggling from the floor, but going 7-7 from FT. In game 2, he had his best game with 15pts, 3 assists, and 15rebs while going 7-7 from FT again, 4-8 overall, but 0-3 from 3-pt. In game 3, he had 13pts and 7rebs, while in game 4 he had 14pts and 6rebs, in game 5 he had 14pts and 7rebs, and in game 6 he had 16pts and 7rebs. Muscala proved to be a solid FT shooter and rebounder, but he needs to limit his turnovers and stay out of foul trouble. 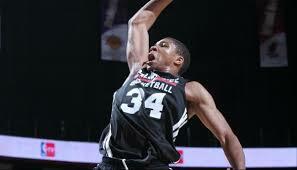 He showed good scoring consistency and he has the potential to be a nice offensive big man who can rebound. After playing big minutes last year due to injuries, Plumlee came out looking confident this summer and made his mark despite playing only 3 games. 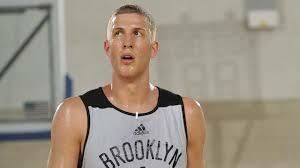 In game 1, Plumlee had 23pts, 7rebs, and 3 steals in his best game going 8-11 from the floor and 7-10 from FT. In game 2, he had 18pts and 2 steals while going 6-7, but 6-12 from FT and in game 3 he had 13pts, 6rebs, and 3 assists while going 4-6 and 5-6 from the FT line. The Nets are going to need Plumlee to bring the same aggressiveness on offense as they continue to transition away from veteran Kevin Garnett, Plumlee needs to continue to work on his FT shooting and stay out of foul trouble. He will continue to see big minutes and looks like the player people expected coming out of Duke. Ledo proved to be the good all-around player the Mavs hoped for when they drafted him last year. In game 1, Ledo had 14pts and 5rebs, but he struggled from the floor and struggled with turnovers. In game 2, Ledo had 21pts, 3 assists, and 3rebs while going 5-8 from the 3-pt line, in game 3 he had 18pts, 5 assists, 4rebs, and 2 steals while going 4-9, 2-3 from 3-pt, and 8-9 from FT. In game 4, he had his worst game with 9pts, 3assists, and 3rebs while turning over the ball 5 times and going 2-16. 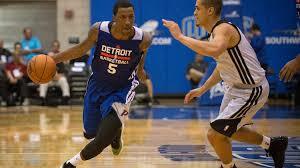 However, in game 5 Ledo had 15pts, 4rebs, 2 steals and 9assists while going 6-13, but struggling from the 3-pt line. Ledo can rebound, pass, rebound, and defend, but he needs to work on his consistency. Ledo should be ready for increased minutes with the loss of Vince Carter and they will need him to score and space the floor. After making the Raptors roster following a strong summer league posting, Buycks played well again despite playing in only 3 games. In game 1, Buycks had 14pts and 5 assists; while he struggled to shoot going 4-12, he went 6-7 from the FT line. In game 2, he had 21pts, 4 assists, and 4rebs while going 9-10 from the FT line in his best game, and in game 3 he had 24pts, 4 assists, and 3rebs while going 10-16 from the field, but he had 8 turnovers. Buycks proved that he can score and get to the FT line knocking down the shots. He needs to cut down his turnovers and continue to work on his 3-pt shooting. McCallum saw increased minutes last season with an injury to starter Isaiah Thomas and should see even more time with his departure as he appears ready to be the 6th man going into the season and should challenge for the starting job. McCallum showed solid overall play this summer winning the MVP as the Kings took the championship over the Wizards thanks mostly to McCallum. In game 1, he had 10pts, 2 assists, and 6rebs, in game 2 he had, 6pts, 2rebs, and 2 assists in limited minutes, but struggled to shoot going 1-5, but 4-4 from the FT line. In game 3, he had 10pts, 12 assists, and 3rebs showing the good vision he was drafted for. In game 4, he had 13pts, 4rebs, and 5 assists while going 6-7 from the floor, in game 5 he had 5pts, 5rebs, and 4 assists in limited minutes, in game 6 he had 11pts, 6rebs, 2 steals, and 3 assists while going 5-10 from the floor, and in the championship game he had 29pts on 9-15 shooting and 9rebs while going 8-9 from the FT line in his best game and most minutes. McCallum needs to work on his consistency on offense and staying out of foul trouble, but the potential is there for him to eventually be a starter. Ennis was originally a 2nd round pick in the 2013 draft who was traded to the Heat on draft night and after a good scoring output last summer he went overseas to continue to develop. This summer Ennis put on a show again proving to be a high volume scorer, a good 2-way player, and a good rebounder leading to a contract with the Heat as they could use a wingman after losing LeBron James, Ray Allen, Shane Battier (retired) and James Jones to free agency. In game 1, Ennis had 18pts, 8rebs, 2 assists, and 3 steals on 5-11 shooting, in game 2 he had his best game with 29pts, 2 assists and 4rebs on 10-12 shooting from the floor including 7-8 from the 3-pt line. In game 3, he struggled to shooting going 1-6 with 4pts, but he had 7rebs and 2blks. In game 4, he had 17pts, 2rebs, 2 assists, and 4rebs while going 6-13, in game 5 he had 19pts, 8rebs, and 3 steals on 8-13 shooting, but he struggled with turnovers and in game 6 he finished with 6pts and 3rebs as he went 0-3 from the field, but 6-6 from the FT line. Ennis needs to work on his offensive consistency, especially from the 3-pt line if he wants to see increased minutes, but he has the potential to be a nice athletic wingman who can contribute on both ends of the floor.